In my kindergarten, we used to draw with thick pastels. They felt very nice in my tiny hand, but the red lines on paper were not even close to what the crayon looked like. I pressed harder on the paper, and it ripped. I was sad and frustrated. In 1957 I was four years old, and we left Israel to live in Washington DC for a year, where my father was doing his PHD. 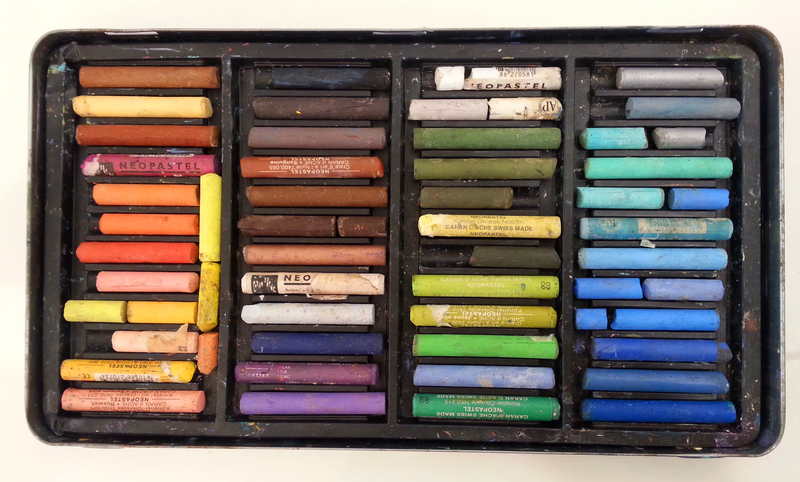 I got a present – a Crayola set of many crayons! I was so surprised to see so many greens, purples and reds in one box, I had never seen anything like this! Alas! Again, on paper, they were vague – there was a difference between what the crayon looked like and what it could really do on paper. Moreover, all tones looked so similar on paper. It was an unfilled promise. Why is it particularly significant to have good-quality art materials in therapy sessions, in an art class, or at home? Decent materials encourage a person to move forward with the process. This is a built-in quality of any good paint, brush or pencil. It can invite you into an inner journey and contemplation. A good-quality medium actually encourages you to deepen the process of creation. This is often observed when children are given a better box of crayons or colored pencils. Suddenly, they concentrate longer on their art work; they try new patterns and images; they seem more relaxed when they confront an obstacle. They feel encouraged. This post is very moving for me. I certainly agree about high-quality materials. My personal memory is of thin, low-quality wax pastels. I think it was in kindergarten and primary school. I was seven when I got a set of Caran D’ach colored pencils, sent by my friend’s aunt from remote America. I still have it! It probably has been a milestone in my artistic journey.